I can't believe that another year has flown past and it is already 2015. I wanted to get a little personal and touch base on my highest moments of last year. The most important ''high' for me was discovering pole dancing and all it had to offer. For awhile, I didn't tell many people due to the stigma that can be attached with it, but in the end, I didn't care anymore about what people thought. Pole dancing is not only empowering for both men and women in a creative sense, it is also a very rewarding, physical sport. 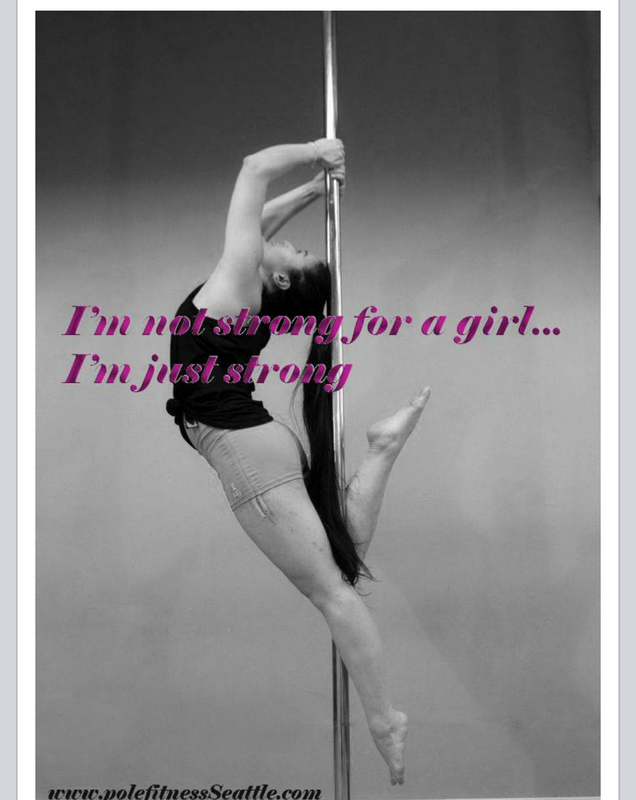 I love how expressive I can be in pole dancing, especially in freestyle dancing. I can play around with a variety of songs and emotions and portray them in a way I otherwise would not be able to. Plus, it is one of the best stress relievers after a long day at work. It also makes me feel incredibly strong and accomplished. Not only was I blessed enough to have found pole dancing, I was also blessed with the opportunity to teach introduction and intermediate classes for the studio I attend (Pole Fitness Seattle). I love the students that attend and the other teachers that share the same passion of pole dancing as I do. For 2015, I don't have certain 'resolutions' per say, but I hope to grow as a person, especially in my own creativity with blogging/vlogging and Pole dancing. I also hope to grow academically, perhaps taking a few courses and in my career-perhaps changing paths. I also want to concentrate on my health and wellness and improve on my quality of life and just live a happier and positive life in general. I want to be able to fully be myself without worrying about what others may think of me. Also, I really want to be able to read many more novels this year! I can't get enough of it! Thank you for all my followers I have had and just anyone that has stopped by my page. It makes what I do worth doing, regardless of the numbers. I wish everyone the best of luck in 2015 and thank again for visiting my page! Readers, do you have any resolutions or goals for the New Year? What do you hope to carry-on from last year? Congrats on the pole dancing! You look great, and i've heard it's INCREDIBLY hard to do! Glad you also got to see your family :) Sounds like an awesome year!